On a cold winter night, these two dogs were spotted at a boat ramp in rural Roane County. They had obviously been dumped, as they were terrified of anyone who tried to help them, and there were no houses around. After days of trying to capture them, Roane County Paws was finally successful with a couple dog traps and some smelly food. They were named Buddy and Girlie, and they both breathed a sigh of relief once they realized they were safe. The rescue reached out to us for help, so we sponsored their vet exams, heartworm tests, dewormer, vaccines, and spay/neuter. 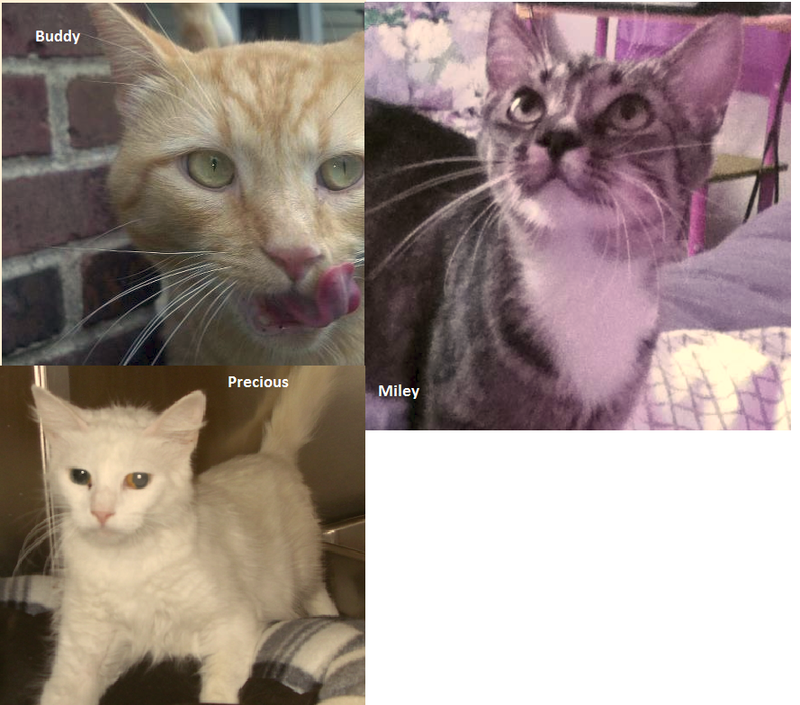 Buddy and Girlie are available for adoption through Roane County Paws. Buddy’s owner had to be hospitalized, so he had to go back to rescue. They had no space for him, so we were asked to help. We paid $300 for the needed boarding. Jackson Square Animal Clinic (JSAC) sometimes extends their hands into rescue. Not only do they give to us in the form of memorial donations from their clients’ pet losses, they also sometimes take in an animal as a rescue case. Buddy is one of those cases. His owner brought him in with a severe injury-so bad that a back leg amputation is needed. The surgery will cost hundreds of dollars the owner doesn’t have. Because Buddy is such a wonderful kitty, JSAC offered to do the surgery if the owner would surrender him to their care, allowing them to be his rescuer. The owner agreed, so JSAC reached out to us for sponsorship. Thanks to our collective philanthropy, Buddy will get the surgery he needs and be allowed to live out the rest of his life. Peaceful Kingdom is a local non-profit responsible for huge rescue efforts. 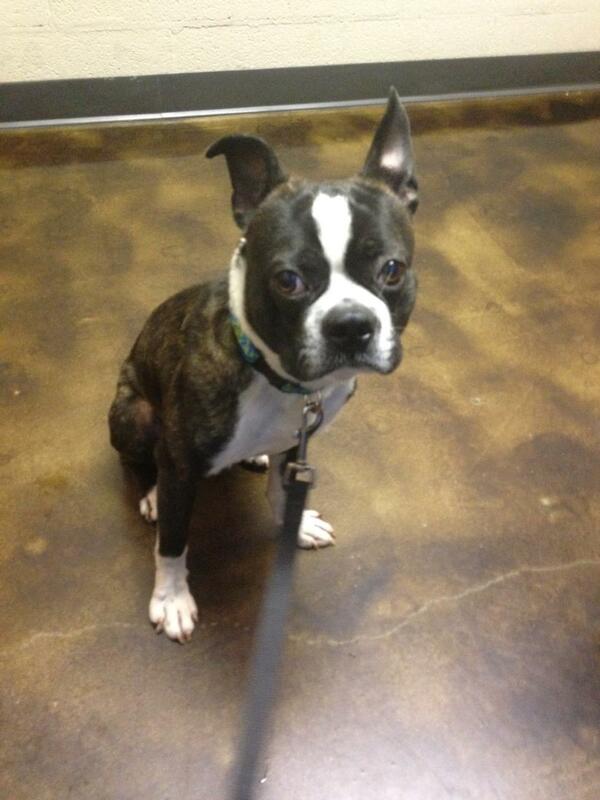 They recently took on a little Boston Terrier, Buddy, who had been hit by a car and needed pelvis surgery. When they reached out to us to assist with the cost of surgery and told us he’d make a full recovery, we couldn’t say no! We contributed $250 and are happy to hear that little Buddy is doing great! HPAN heard that Buddy, in the care of Almost Home Animal Rescue (Blount County), needed medical care. We stepped up to contribute toward his vet costs. 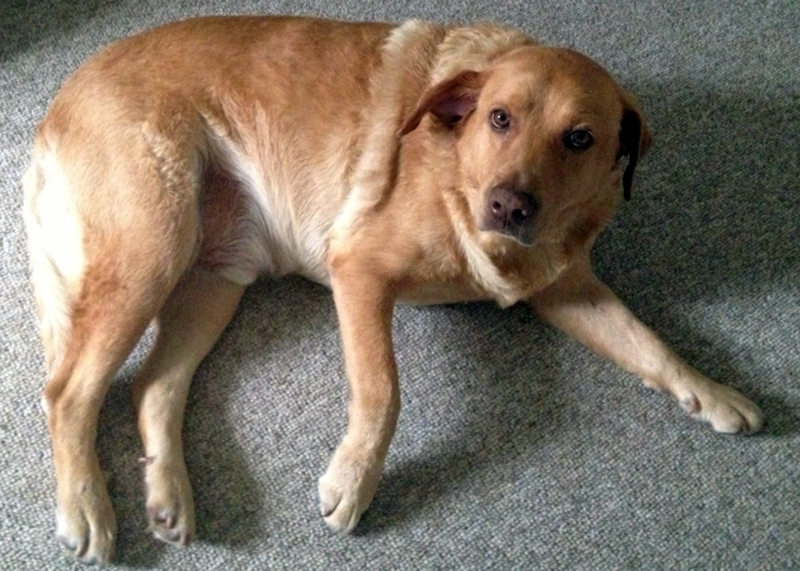 Buddy is a three year old, 92lb, Flat-Coated Golden Retriever who is full of love. He has a large hematoma in his right ear caused by his pawing at a very bad ear infection. If the hematoma is not removed, he will be disfigured for life and will suffer pain. The surgery will cost a little over $300. Buddy is the sweetest guy you will ever meet. He was horribly neglected. In addition to the ear, has some skin problems due to flea infestation. He is heartworm negative and neutered. 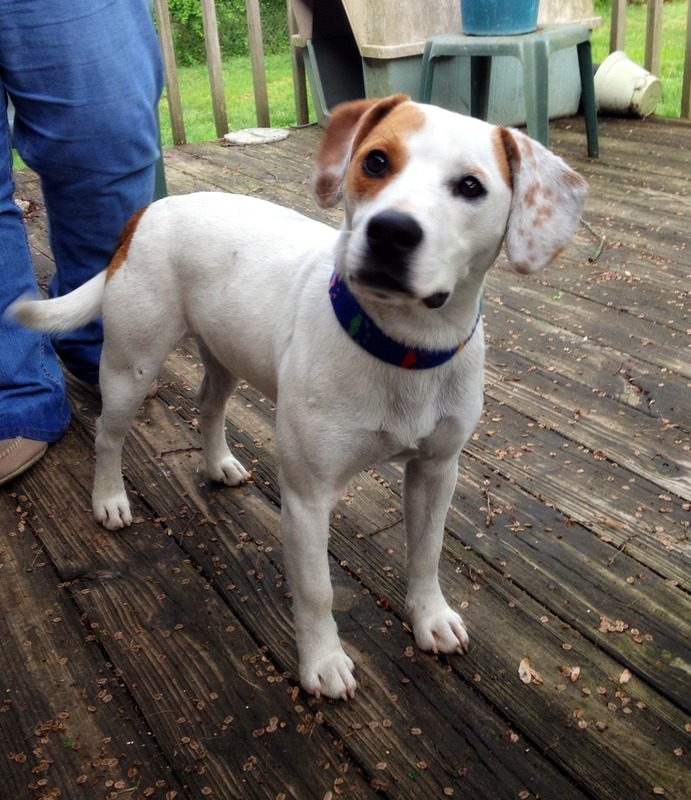 Buddy is now up-to-date on vetting and on heartworm and flea preventative. When Almost Home first received him, he moved around like an old dog; now he plays with toys and is interested in everything around him. He takes a toy out of a basket and returns it when he gets out another one. He is a very smart boy! Some family will be very lucky to adopt Buddy. Anyone interested should message annette@almosthometn.org. Buddy was riddled with ticks and fleas. He was a stray who followed a rescuer’s neighbor home. They tried to find his family but couldn’t locate them. Sadly, the neighbor’s husband was abusive to Buddy. The wife and son washed him and of course, like any dog, afterward he found the mulch in their landscaping and rolled around. The dad got mad and threw him. It also appears that the dad was kicking him, as his stomach is swollen and bruised. The rescuer (Laura) took him home and is working to find him a home. Laura’s son orginally named him Luke, but that got confusing as his own name is Jacob Luke. Since he is such a buddy to Jacob, Laura renamed him Buddy. Buddy’s teeth are in good shape. By their condition, Melissa, one of our sponsored rescues estimates that he is about a 1 ½ old. Laura took him to Dr. Butler and HPAN paid $135 for vaccinations, vet care and neuter. Buddy is a sweet, sweet boy who likes to be with people and cuddle. He is active and loves to run. He is great company and loves children. A long term foster or forever home is needed for Buddy. 4/25/11 Buddy is staying with Laura, the lady who rescued him. Her children, Hannah, Logan and Jacob are very attached to Buddy, as he is to them. This is a happy ending for Buddy! He can’t stop wagging his tail!